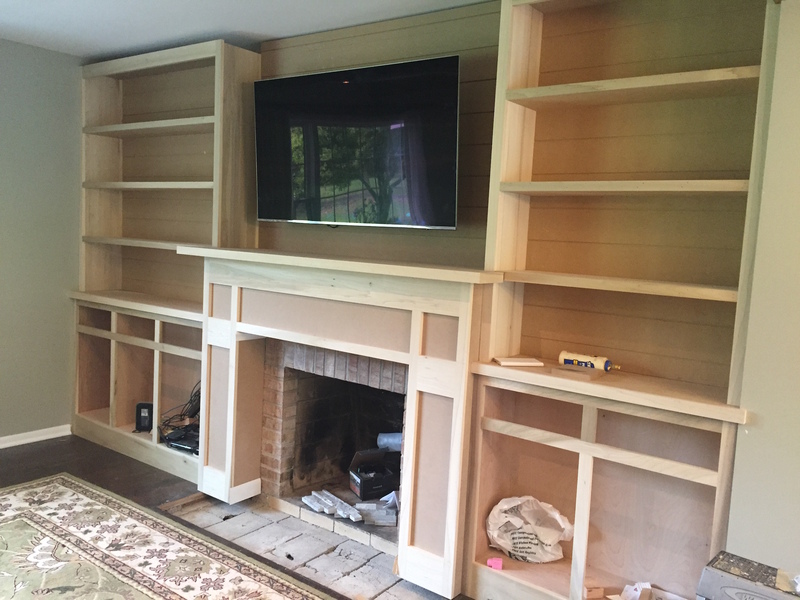 We’ve made some great progress on the living room built ins, so here is an update. 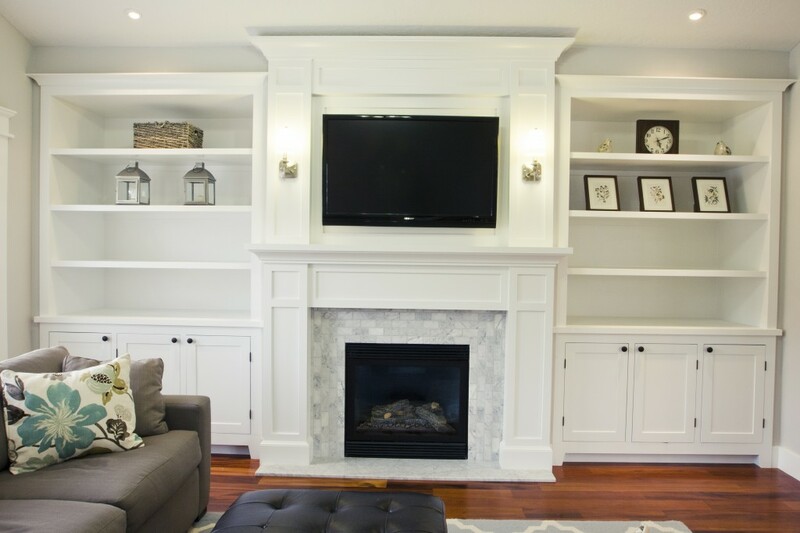 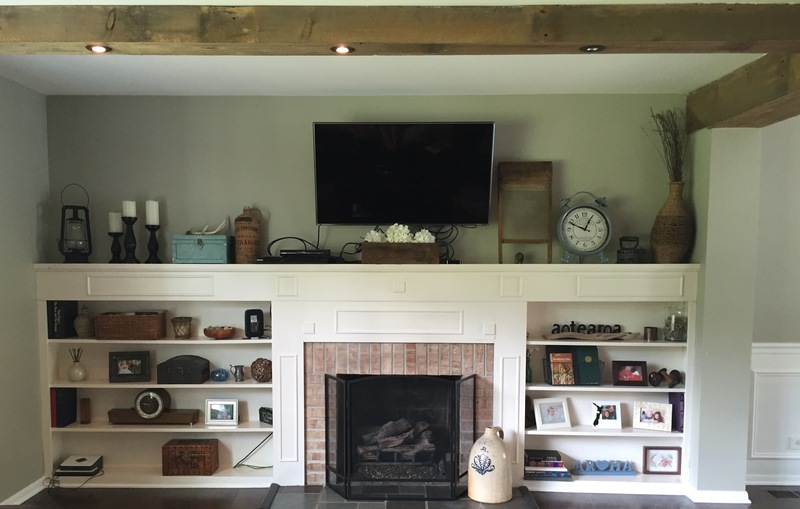 Here was our inspiration for the fireplace surround and planking above the fireplace, which we also decided to continue behind the upper shelves. 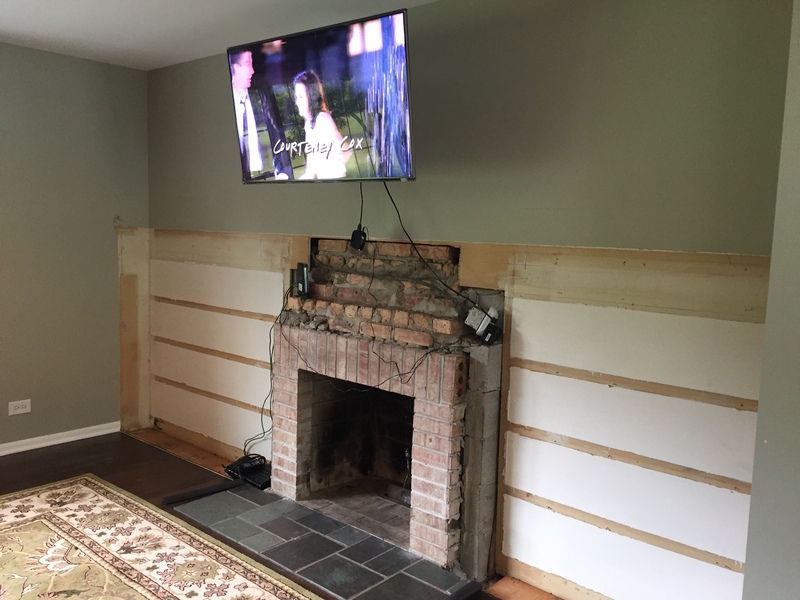 While it was open Ben installed new electrical outlets, a switch for the gas fireplace, and a chase for TV cords so all cords will be hidden. 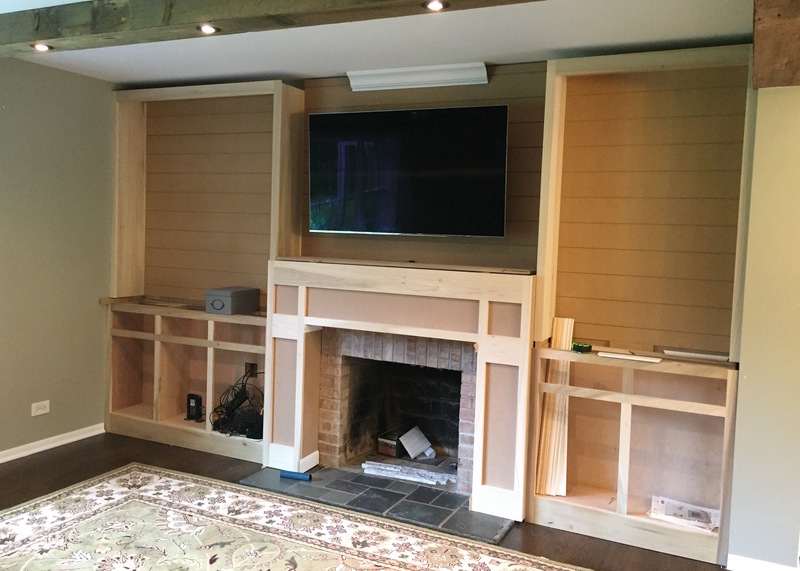 Full disclosure, we decided to hire out the building of the built ins to Ben’s cabinetmaker at work. 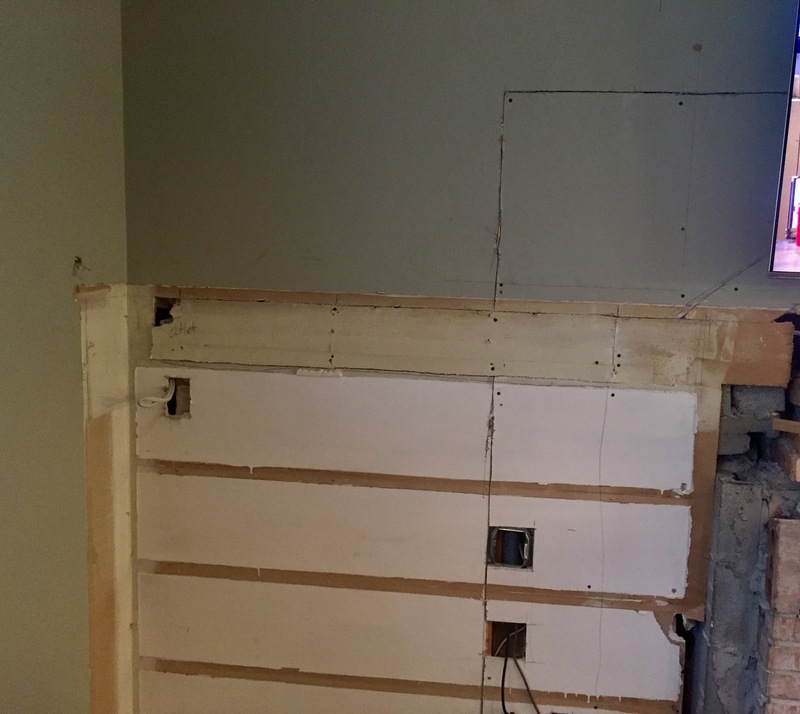 2-3 guys have spent 4 whole days on it so far, so I’m glad we did. 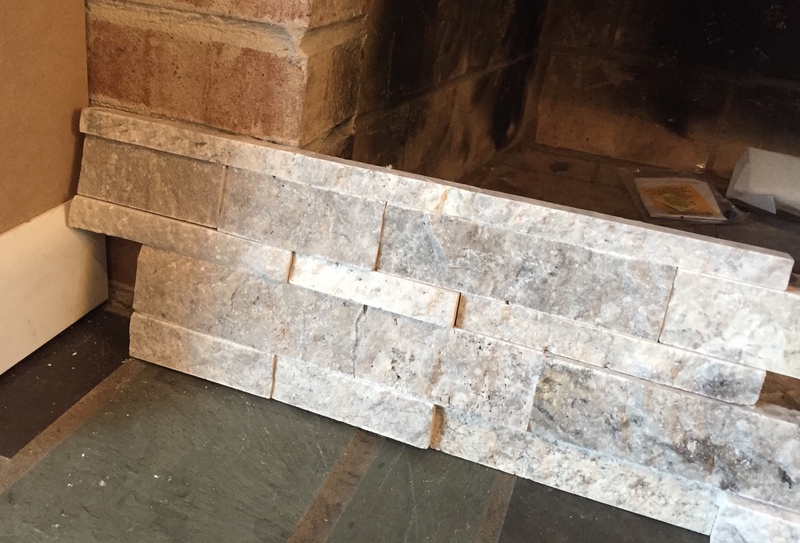 Ben also ripped out the ugly tile hearth which we are going to replace with a piece of black granite. 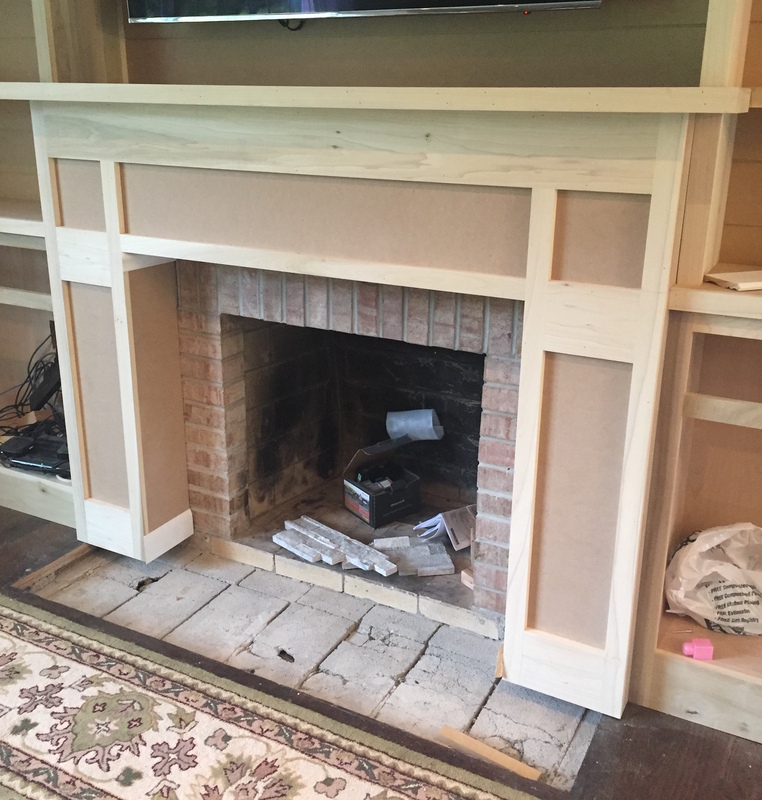 Next up will be the doors and trim, installing the stone and hearth, and then painting everything. 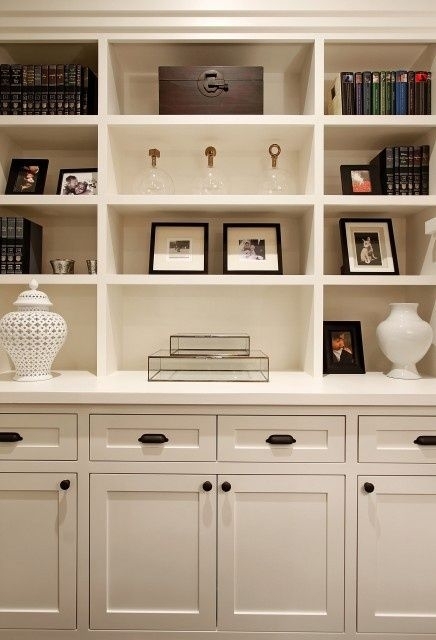 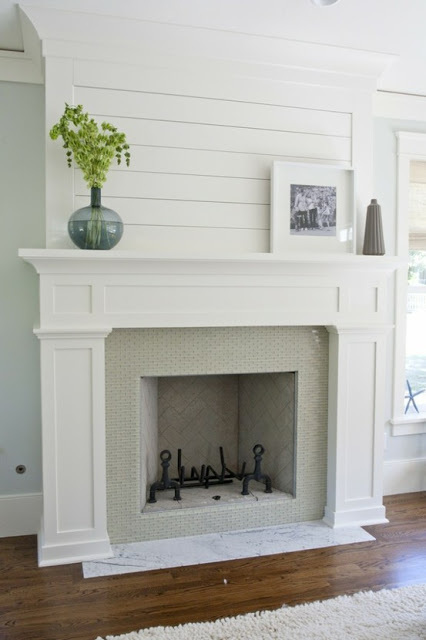 It will all go a crisp, clean white called Chantilly Lace by Benjamin Moore. 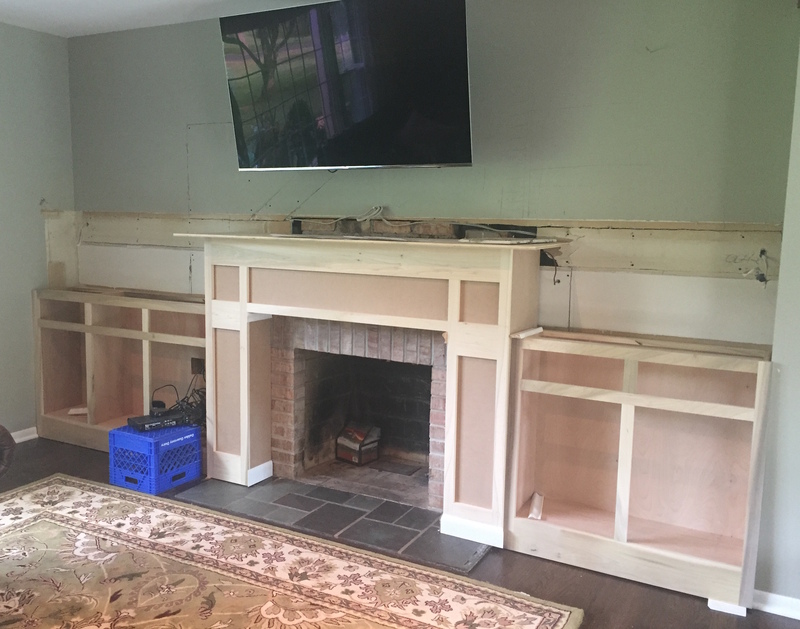 Hope to have it all finished in the next few weeks!